The wife of a Norwegian multi-millionaire businessman has been missing for months after being abducted, police have now confirmed. The investigation has been continuing since then, police said, but was given “a low profile” because “very serious threats have been made”. Broadcaster NRK said the ransom had been demanded in an equivalent amount of the cryptocurrency Monero – a digital currency similar to Bitcoin. Mrs Hagen is married to Tom Hagen, a businessman with an estimated fortune of 1.7bn Norwegian krone (€174m; £156m) made in the real estate and energy industries. “As the case now stands, police have advised the family not to settle the claim,” Tommy Broske, head of the investigation unit, said. 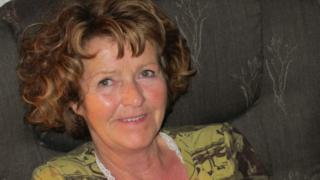 News of the months-long disappearance was first reported by the newspaper Aftenposten early on Wednesday, which said it had known about the case for some time but had chosen not to publish details to protect Mrs Hagen. It said Mrs Hagen appeared to have been abducted from the bathroom of her home and that there had been “limited dialogue” with the alleged kidnappers over the internet. On Wednesday morning, as Aftenposten published its report, police put a cordon around the couple’s home. In a statement, police said they had made the decision to make the case public despite threats from the kidnappers, in order to appeal for more information. The police statement said the main hypothesis “has always been that the woman was abducted against her will” and that “extensive” forensic work has been carried out at the home. “Our goal is to find the woman alive and reunite her with the family,” said Mr Broske. Mr Hagen’s lawyers have told news outlets he will not comment on the story at this time.